The perfect match to our "All That Glitters" Necklace! 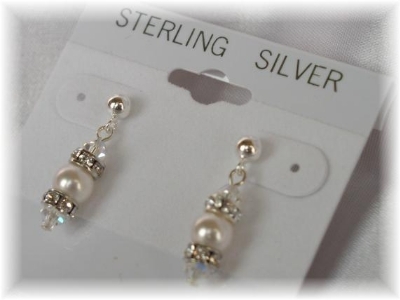 Delicate bicone crystals combined with Swarovski pearls and crystal rondelles on sterling silver posts. Earrings measure 7/8" and are a beautiful match for our "All That Glitters" necklace! These earrings are delicate, but definitely demand attention! *Not intended for children under 13. 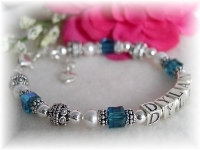 Can be made with freshwater pearls to comply with CPSIA law. 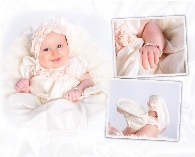 Please indicate if you would like freshwater pearls during checkout (for children under 13). 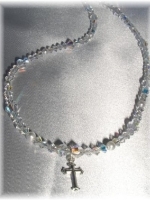 This Swarovski crystal necklace is accented with 6mm white pearls, sterling rondelles, and a petite sterling silver feminine cross. 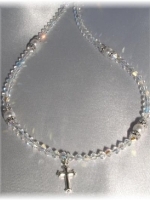 This Swarovski crystal and pearl necklace is simply beautiful. Perfect for so many occasions! Pretty and petite. 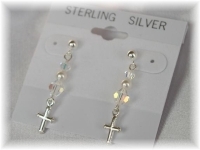 Striking, feminine drop earrings with petite sterling silver crosses. 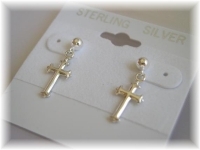 Simple, elegant, petite sterling silver cross earrings.� Dainty & Delightful!